Overstriding is when you land with your foot further out in front of your body than is necessary or ideal. Watch little kids run and they almost never do it. Not even when chased by ravenous chickens! See how the foot lands almost under the hips? Put modern running shoes on them, their gait will change, and they’ll start to reach out with their leg, landing on the heel. Do this when you’re barefoot and it HURTS. 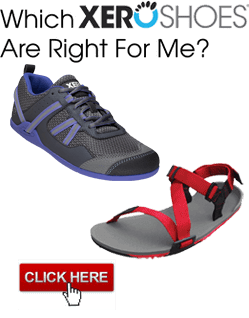 Sliding off the sandal or into the thong of the huarache-style sandal — this is because the sandal hits the ground and stops moving as your foot continues to move forward. Tightening the lace or webbing isn’t a real solution. Slapping noises — this comes from, well, slapping your foot onto the ground. When you land on your heel, your foot can’t articulate properly and the forefoot comes down with extra force. If you land on your forefoot when you overstride, that can lead to stress fractures, but first it’ll just be loud. See this article for some more info. Heel blisters — landing with your foot in front of your body is like putting on the brakes with each step, and that horizontal deceleration creates friction, and friction leads to blisters. See https://xeroshoes.com/blister and see the first video at https://xeroshoes.com/barefoot-myths-lies-and-truth-free-video-series/ for more about this. If you land with your foot “under” your body (it may be slightly in front of your center of mass), all those issues go away. In fact, if you land that way, you can wear a sandal that’s barely tied to your foot and it won’t make any noise, nor will you slide off it and you won’t get blisters. It’ll be like you’re running barefoot, but just before you land, someone throws a piece of rubber on the ground. Here’s one of my favorite examples. In this video, the runner accelerates to full speed on a carpet that’s over ICE… then runs for a few strides at full speed without any slipping. You’ll have to pause the video and play with the slider to see how his feet are landing under his center of mass. What this highlights is that when you’re running at a constant speed, especially at full speed, almost all of the force into the ground is vertical. Add more horizontal force, e.g. by overstriding, and your feet would slide right out from under you. 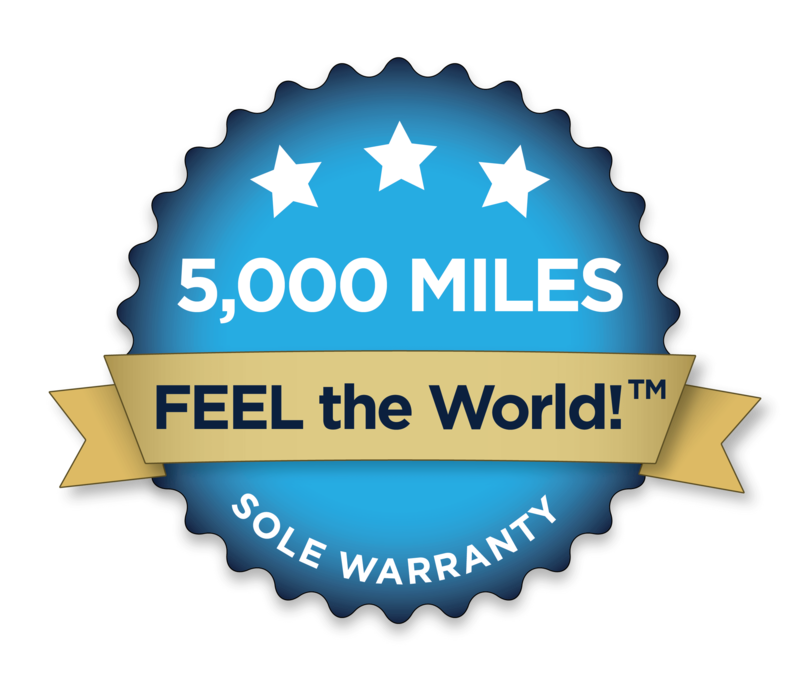 ← Xero Shoes is 1753 in the Inc. 5000!